I’ve been in Singapore for a few months now, and I couldn’t leave without sharing my ultimate vegan guide to this marvellous place. During my time here I tried out plenty of vegan places, and while there’s still many more to be discovered, I feel like sampled enough to write this guide. So below are some great eateries any vegan will enjoy, I’m sure of it! I’m starting out with my all time favourite, VeganBurg. I can’t rave about this place enough, it’s just simply amazing. It offers exactly what the same suggests: delicious vegan burgers. And not just one vegan burger, no, they have a variety of choices, as well as numerous sides, drinks and desserts to choose from. 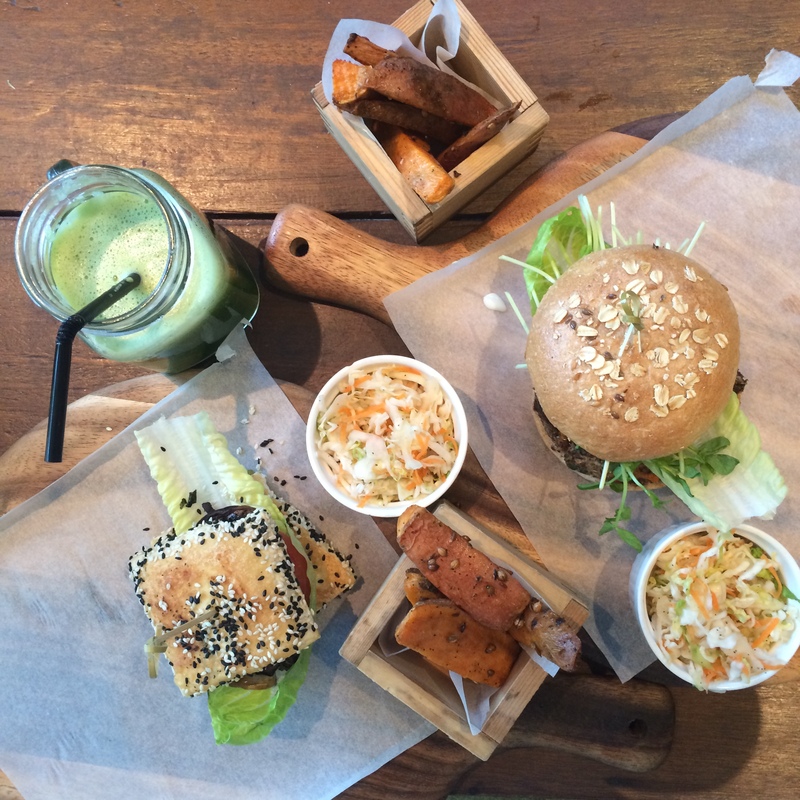 My two favourites are the Smoky BBQ and Char-Grilled Satay burgers, with either broccoli or fries on the side! Their Smoked Franks are also a must-try, as well as Granny’s Comfort Soup. 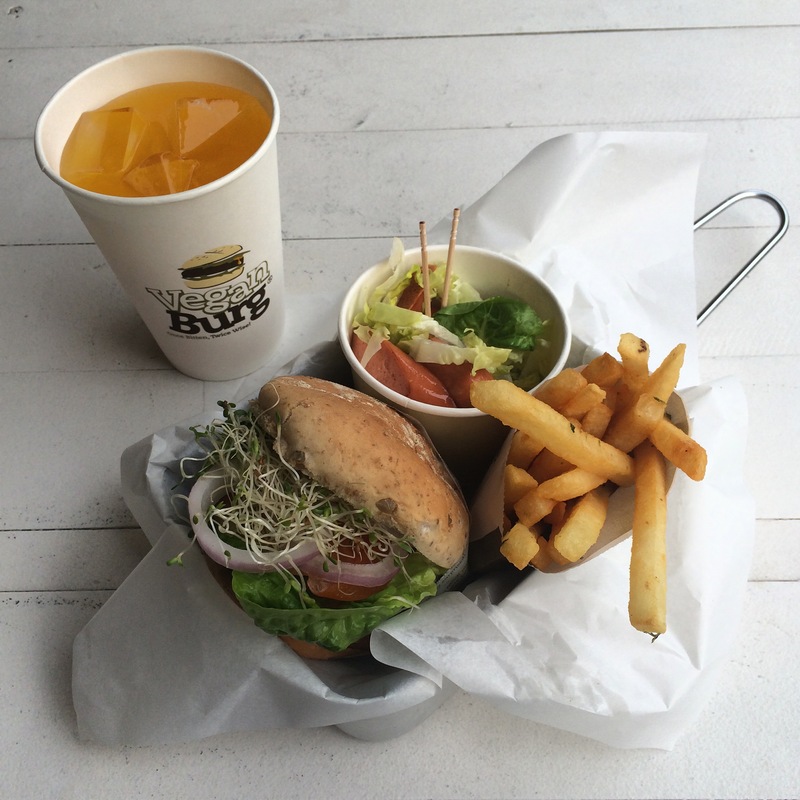 This amazing food paired with their cute and styling branch (fake grass seats!) and sweet staff makes this the number one vegan place to go to in Singapore in my book. This place restaurant takes second place on this list. While not a 100% vegan eatery, The Living Café has a range of option for vegans (all nicely and clearly labelled on the menu!) 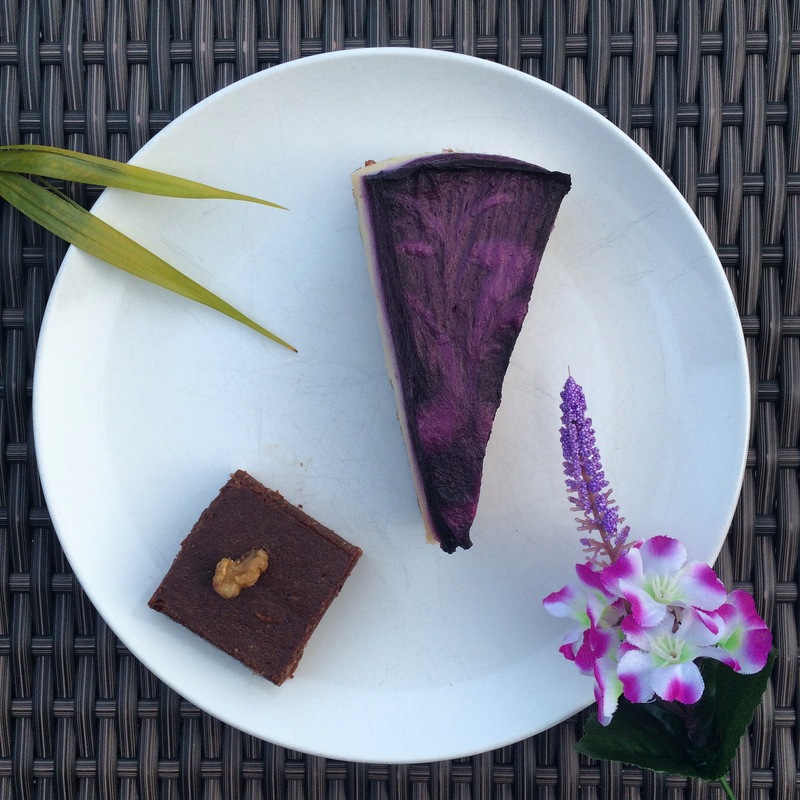 and some amazing raw desserts. The also have a lot of raw food in general for those interested and they create some amazing juices. Some of my favourites are the Zucchini Pesto Pasta, the Quinoa Veggie Burger, the Sesame Tofu Burger, the Raw Blueberry Cheesecake, the Green Vitality Cleanser juice and the Cold & Flu Buster juice (yes, that’s a extensive list, I come here way too often!). The Living Café is a little bit more pricey, especially when you opt for a main course, juice and dessert like me, but it’s definitely worth it for a treat meal. Moreover, I like coming here with my family (who are not vegan), because they can enjoy some non-vegan food if they want, and I can enjoy some vegan deliciousness at the same time! 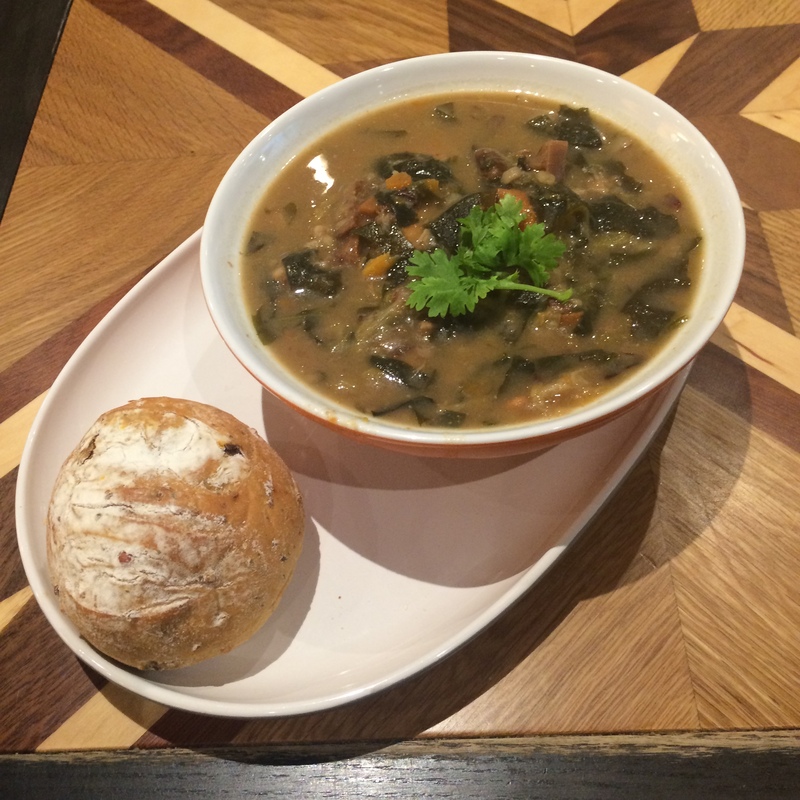 The place to go for vegan comfort food, Greendot is a vegetarian restaurant with numerous vegan dishes. 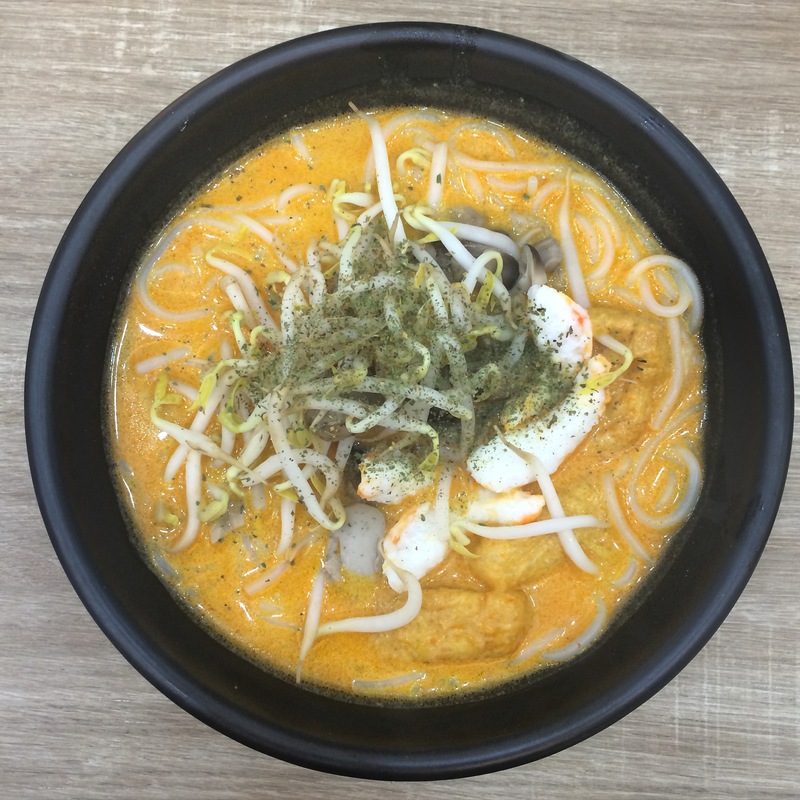 I’ve been there numerous times, but have always ordered the same thing: Laksa. I have always loved a good bowl of steaming spicy noodles, and this dish nails it on the head. There are some mock shrimp in there, which taste surprisingly real (almost scarily so), and their Passion Dragon Fruit Green Tea is to die for. I wish I could tell you a variety of dishes to try here based on my experience, but I’m sure based off of the Laksa, that all their other dishes are equally delicious. Moreover, this place is always bustling and the staff is lovely; definitely a must-visit! Addresses: 3 Gateway Drive,Westgate #01-08, Singapore 4608532; 60 Paya Lebar Road, #02-15/16/17 Paya Lebar Square, Singapore 409051; 311 New Upper Changi Road, Bedok Mall #B2-27. 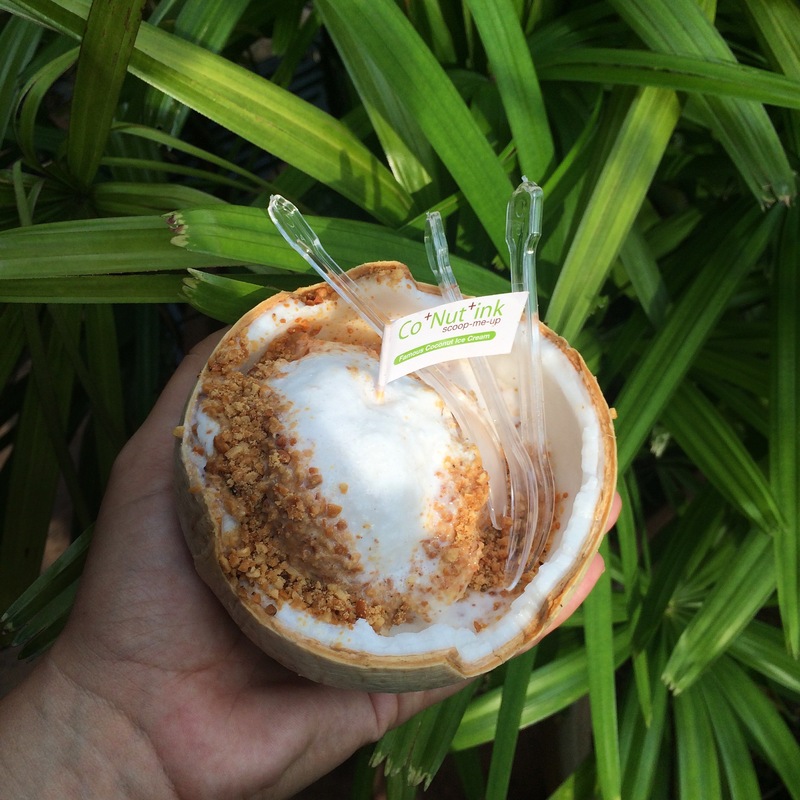 Coconut ice cream in a coconut husk with a cup of coconut water? It’s coconut galore! Co Nut ink serves up some amazing coconut ice cream, and topped with roasted peanuts, this is one of my favourite vegan treats in Singapore. So refreshing, and one of the best parts is scooping out the meat of the coconut at the end! Addresses: 52 International Road #02-16, Singapore 619626; 1 Esplanade Dr, 038981, #01-K7, Waterfront. 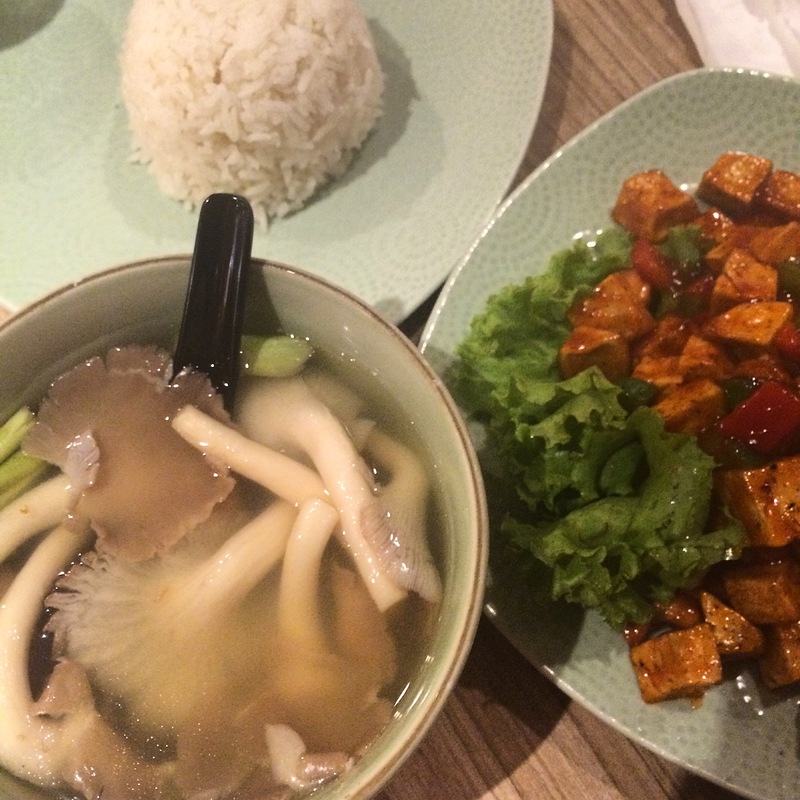 The Fortune Centre is like vegan heaven in Singapore; it is crammed full of vegan and vegetarian eateries. Unfortunately, this place is really far away from where I live, so I have only gotten the chance to go once. But that one time was plenty to convince me this place is great! My family and I ended up eating dinner at Xing Hua Vegetarian Restaurant, a place that specialises in mock meat (all their dishes are dairy and egg free, so suitable for vegans!). Now, I’m not the biggest mock meat fan, as I don’t miss the taste or texture of meat at all, but I really enjoyed trying some of these dishes. 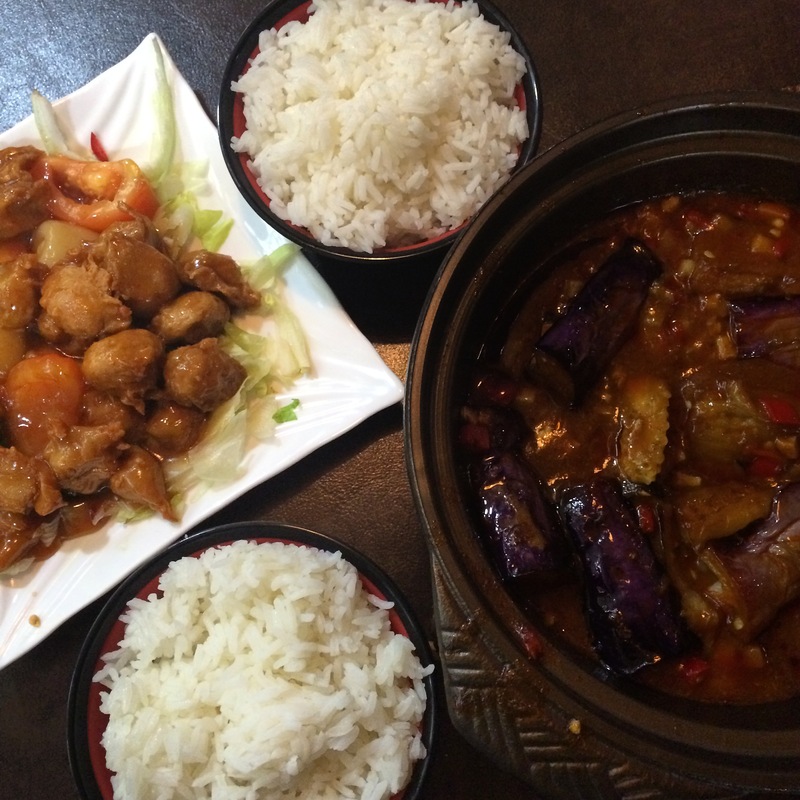 I went for the sweet and sour ‘pork’ which was yummy, and I pinched some of my brothers fried ‘chicken’ and my dad’s eggplant clay pot; everything was delicious. It reminded me of the Chinese food I miss so much, and paired with plenty of rice and mango juice, I would love to come back here. The Fortune Centre has plenty of other vegan restaurants and bakeries, so I definitely recommend heading over and discovering everything there is to eat. The centre is very local and so a lovely way to immerse yourself into Singaporean culture. I love me some soup, even in hot Singapore, and The Soup Spoon is great at fulfilling this craving. They have a special vegan soup, the “Vegan Miso Red Rice Stew With Wakame” soup (try saying that five times in a row) which is delicious. It’s very filling and has some ingredients I had never had before, like wakame and chestnuts. This place is great to go to with non-vegans; they have plenty of options to suit everyone’s liking. Addresses: check this link, as they have 21 outlets in Singapore! Thai Express has always been a love of mine, ever since I discovered it when I was living in Hanoi, and I’m so happy I can go here as a vegan. They have a extensive vegetarian menu with tonnes of vegan options. Some of my favourites are the Tom Yum Hed Nang Fah (tom yum oyster mushroom soup), the Pueak Himmapan (fried taro with cashews nuts) and of course, Mango Sticky Rice! Again, this place has plenty of options for non-vegans, hence why I frequent here with my family often. Addresses: check this link, as they have 24 outlets in Singapore! Now, I know Smoothie King isn’t unique to Singapore, but nonetheless it’s a great place for a good smoothie. And the reason I frequent there is because they stock one of my favourite vegan products; Lenny & Larry’s cookies! 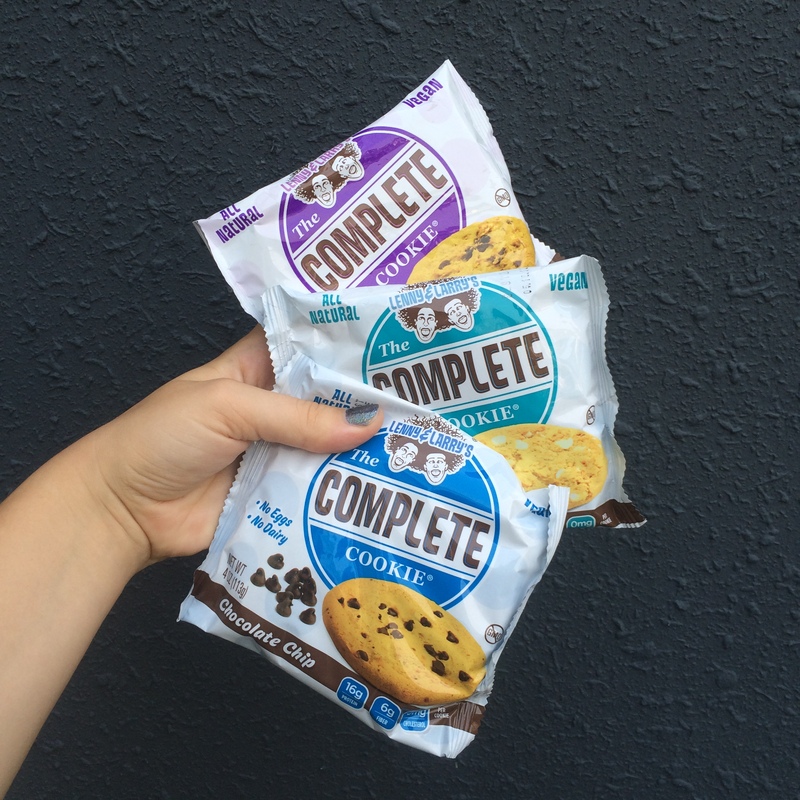 These cookies kept me going on some tough work days and they were almost always on a good deal at Smoothie King. And while you’re there stocking up, grab one of their smoothies or juices (my favourite is the passion passport one!). Just check the ingredients before buying, as they’re not all vegan. Addresses: check this link, as they have 8 outlets in Singapore! Last but not least there is SuperNature, the dream super market for any vegan. While it might looks small, this place stocks tonnes of vegan products, like dairy free cheese, vegan pizza’s, and all sorts of dairy free milk and treats. 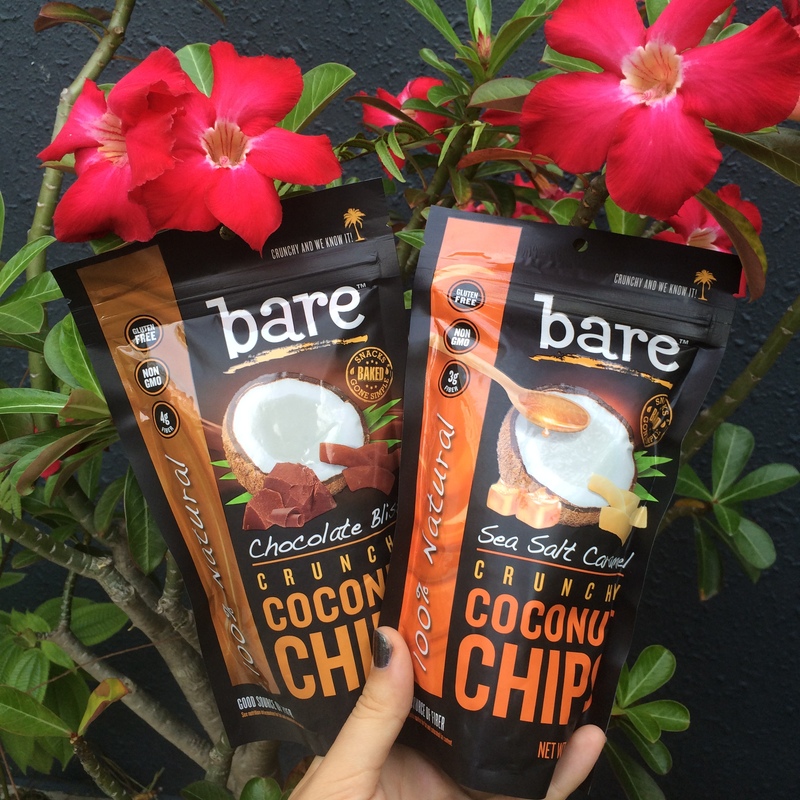 Talking about treats, SuperNature also stocks one of my favourite snacks, Bare Snacks coconut chips. These are addicting (you’ve been warned), as a proven by my Instagram feed, I love to sprinkle these on my pancakes! If anyone reading this has any more suggestions, leave them in the comments!